Creating brighter days for the Aged and Youth through the development of intergenerational programs that provide opportunities for seniors to remain active and healthy through social interaction with youth that provide opportunities for caring relationships to develop, and allow seniors to impact the lives of youth by imparting wisdom, discipline and the respect necessary to become productive and contributing citizens of their communities. We look to create a positive force in our communities by creating opportunities for seniors and youth to positively impact each other’s lives.The programs we are creating can be termed Adopt-A-Grandparent or Adopt-A-Grandchild. Our pilot programs include The Ferdinand and Gene-Phipps Complex for Seniors and The Beresford Taca Campus for Children. The Adelaide Cupid Foundation is the vision of native Trinidad and Tobago, Stephanie Ferdinand, a successful entrepreneur, founder and chief executive of Ferdinand and Associates LLC., a business consulting and tax preparation firm in Brooklyn, NY. Ferdinand traces her desire to give back, and serve her community to her early years when she accompanied her mother, Adelaide Cupid, to deliver food her mother regularly prepared the seniors at an adult home in Penal, Trinidad. Following her mother’s example, Ferdinand sought ways to meet the needs of the most vulnerable in her community, especially seniors and youth. In her adopted home of Brooklyn, Ferdinand has been a significant supporter and contributor to the Youth Empowerment Mission Inc. (YEM), YEM's mission is to give young people, real long-term alternatives to gangs, violence and delinquency that challenge their communities, while addressing the conditions that influence this self-destructive lifestyle. YEM offers various programs and services to young people that include educational support and advocacy, counseling and case management, leadership training, life and community survival skills, entrepreneurial and work-skills training, and community involvement. In 2008, Ferdinand’s firm partnered with YEM to launch an internship and mentoring program for girls, ages 16 -19. Ferdinand’s work also extended to meeting the needs of seniors. In 2006, in response to the need for affordable housing for seniors in the New York City area, Ferdinand and her firm became significant financial supporters for the Christian Action For Renewal And Development, Inc. (C.A.R.D. ), a nonprofit whose mission is to serve seniors and youth in the New York area through the development of intergenerational programs in the areas of affordable housing, health care and education. Previously, Ferdinand served her country in the United States Army for seven years as a flight operations coordinator and a supply specialist in the U.S. Army Reserve. She received a certificate of achievement and good conduct medal upon her honorable discharge from the Army in 1990. Ferdinand holds a bachelor’s of business administration in public accounting at the Lubin School of Business at Pace University in New York. Now, after years of working to improve her community and her country, Ferdinand established the Adelaide Cupid Foundation. Through the Foundation she hopes to make significant impact on the lives of the most vulnerable seniors and youth in her native Trinidad and Tobago by becoming “A Beacon of Hope for the Aged and Youth,” through the Ferdinand and Gene-Phipps Complex. This multi-use facility, which will provide an affordable, home-like housing alternative for seniors who can no longer live on their own and require daily assistance, will be located in the heart of Trinidad and Tobago. Berry Ferdinand is the managing director of Bewil & Co. Ltd., a 30-something-year-old company, which provides total office solutions to a number of business enterprises in Trinidad and Tobago and the Caribbean. Ferdinand has been an entrepreneurial, sales-management strategist for more than 30 years, grossing more than $35 million each year in sales and revenue through structural leadership, strategic market positioning, sustainable partnerships and client retention. As the managing director, he oversaw all sale and business development functions, which included new product rollouts, account management, customer-service development and order fulfillment. Providing cross-functional team training to associates in Italy, Canada and China, Ferdinand is an exceptional mentor and coach. Initially, Bewil’s focus was primarily repair, maintenance and refurbishing of office furniture and equipment, with a strong emphasis on quality and personalized service. Today, the company offers a wide range of products that serve every possible workplace demand, from systems furniture, mobile furniture, desk systems, seating, and storage to filing. Bewil partners with leading international furniture manufacturers whose products have won numerous awards at industry trade shows. Before launching Bewil, and building it into an economic force, Ferdinand was a senior sales representative at Technicenter Ltd., a distributor and franchiser of office furniture in Trinidad and Tobago. There, he met and exceeded all quotas when he was ranked number one in sales for 11 consecutive years, and received the highest honor for extraordinary achievement. Ferdinand holds a blue seal diploma in scientific selling, as well as certifications in leadership and in the Dale Carnegie sales training. He’s a past president of the Rotary Club of Diego Martin, where he continues to be an active member. He has played amateur golf and was an amateur golfing champion for several years in the 1980s. Pedro Pile is a certified public accountant, and is the managing member for Pedro D. Pile CPA PLLC in New York. He provides technical accounting and operational solutions to clients across a wide variety of industries. With more than 17 years of business advisory and consulting experience, Pile is an execution- focused professional with an extensive background in technical accounting, financial and management reporting, operations, planning and analysis. Pile began his career with Deloitte & Touche LLP, where he led advisory and attestation engagements for high-profile clients such as Columbus Centre LLC, the holding company for the $2 billion development of a mixed-use property that featured the AOL Time Warner headquarters; Anthracite Capital Inc., a Black Rock-managed company with $3 billion of assets under management; and Lazard Freres & Co. LLC, a boutique investment bank with assets under management in excess of $50 billion. Before establishing his practice several years ago, Pile held senior management positions with Ciena Capital LLC, Pzena Investment Management Inc., and Geller & Company LLC. He earned a bachelor’s degree in business administration from Pace University in New York, and he is actively involved in numerous professional organizations in New York City. Pile, an immigrant from Barbados, lives in Brooklyn, NY, with a wife and two children. 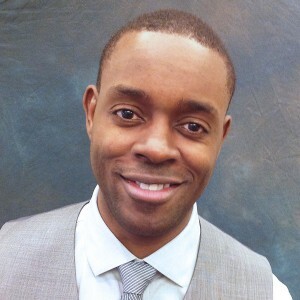 Dr. Charles Ehiremen Oribabor, a critical care specialist, is the director of the Cardiac Surgery Intensive Care Unit at New York Methodist Hospital, an affiliate of Weill Cornell Medical Center in New York, NY, since 2004. Simultaneously, he is also the director of the respiratory care bachelor’s degree program at the Long Island University School of Health Professions’ Division of Respiratory Care. Certified in critical care and pulmonary disease, Dr. Oribador is an internist with more than 18 years’ experience in providing life-saving care for patients in intensive care units by offering life and organ support, as well as stabilizing patients and performing time-saving procedures. He is an expert in chest tube insertion, electrical cardioversion, pacemaker insertion and medical and surgical intensive care unit management among other expertise. Born in Nigeria, West Africa, Dr. Oribabor graduated from medical school at the University of Ife-Obafemi Awolowo University in Nigeria in 1992. He did his residency in internal medicine at NY Methodist Hospital and earned a critical care fellowship at the Albert Einstein College of Medicine at the Montefiore Medical Center University Hospital in the Bronx, NY, and a pulmonary fellowship at the Brooklyn Hospital Center, which he completed by 2001. An author, Dr. Oribabor wrote many articles and contributed to publications on pulmonary, respiratory and cardiac issues. He delivered several presentations for the American Thoracic Society on theories relating to open heart surgery, hypertension, and cortisol measurements, among others. Dr. Oribabor, a naturalized U.S. citizen, lives in Queens, NY, with a wife and two children. Tami L. Farber is the director of Community Engagement, Diversity & Inclusion and Education of the YMCA’s Snohomish County in Washington State. She serves as the primary community advocate, and directs educational program efforts for the YMCA Minority Achievers Program. This program’s mission is to motivate and support immigrant students and students of color to aim for higher educational career goals. She leads the design, development, implementation, management and tracking of strategies to ensure full engagement of underserved communities. Besides this, she spent the last five years as the president of Together Leading the Future Inc., an organization that provides services in program and curriculum development and training, contributing to leadership development, justice, equity and alliance building in educational institutions and other nonprofits. As a social justice activist, Farber spent the last decade organizing, training, speaking and providing leadership development to organizations, academic institutions, communities and grassroots initiatives focused on equity, justice and the elimination of institutional oppression. She brings extensive experience in the development and implementation of programs and curriculum, creating relationships with community partners and building training materials and facilitating learning sessions for the global social welfare and she has worked around the United States and in countries such as Kenya, Tanzania, Malawi, South Africa, India, Nepal, Thailand, Switzerland, Turkey, Jamaica, Mexico, Ecuador, Peru and Chile. In the early 2000s, she cofounded and coordinated a summer camp called Nah We Yone for refugee children and teens in the African Diaspora. As a result of her efforts, Columbia University, Long Island University and the City of New York have honored her on World Refugee Day. 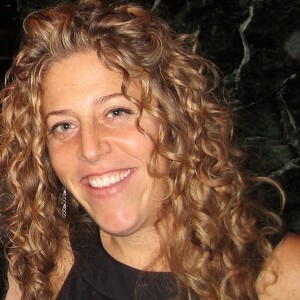 A native New Yorker, Farber earned a bachelor’s degree in child development and education from Long Island University, Global College, in Brooklyn, NY, and a master’s degree in social work from Columbia University. She completed all course work for the CUNY Graduate Center’s social welfare doctorate program with a research focus on stepping beyond positive youth development to youth development social justice. She received antiracism training through the People’s Institute for Survival and Beyond, and is a certified children’s yoga specialist. Farber, an actively engaged member of the Art of Hosting/Art of Participatory Leadership communities globally, uses an approach that is rooted in a social justice and anti-oppression and human rights framework. Her ongoing work brings her in touch with schools, governmental and inter-governmental organizations, community-based organizations and companies developing and running programs, organizing and facilitating small and large scale workshops, trainings and conferences for adult professionals, parents, community members and young people. 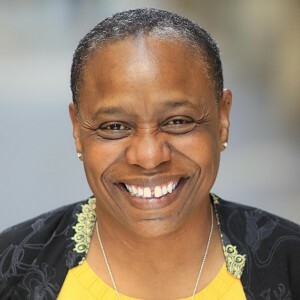 Jean G. Leon, who is now retired, was the executive director of the Kings County Hospital Center in Brooklyn, NY, and the senior vice president of the Central Brooklyn Family Health Network, a position she held for 15 years until her retirement in 2009. She was the only person to hold the position for that length of time. As the executive director of the hospital system, which is more than 175 years old, Leon spearheaded the $500 million rebuilding of its campus, while she continued with the improvement of safety and quality for the provision of service to each consumer. She said the greatest challenge of her position was adapting, trying to improve the hospital in a continuously changing health care culture. Before Kings County, Leon served as a senior associate and deputy executive director and as the chief operating officer at the Harlem Hospital Center. She was also an associate director of nursing at the Woodhull Medical & Mental Health Center and the director of quality management at the Metropolitan Hospital Center in New York. Leon holds a master’s degree in public administration from New York University’s School of Public Administration; and an honorary doctor of laws degree from St. Joseph’s College, where she also earned a bachelor’s degree in health administration. She holds certifications in quality assurance and nursing administration, and is a member of the National Association of Health Care Quality and the American College of Health Care Executives. Leon has lectured and consulted proficiently in health care issues, and has received numerous awards, citations and proclamations. Among her awards, she received the New York State Quality Assurance Health Care Professional award and the Congressional Award of Merit from New York Representative Edolphus Towns. 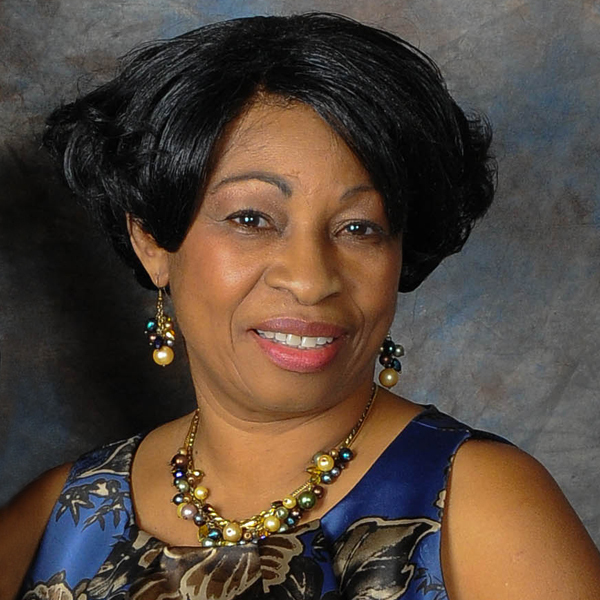 She migrated to the United States from the twin island nation of Trinidad and Tobago in the West Indies where she graduated from San Fernando Nursing School as a registered nurse with a specialization in midwifery. When she migrated to the U.S., she continued her professional career as a registered nurse; however, she changed her focus to health care administration because she wanted to make an impact on policy and decision making. In her retirement, Leon continues to serve as a mentor to other young women, spreading her compassion and devoted commitment to those interested in the health care industry by teaching them that care giving is more than a profession. It is a lifestyle. Keith Christian Risbrooke is the manager of Information and Communications Technology (ICT) at the Rhand Credit Union in Port of Spain, Trinidad and Tobago, where he manages the procurement, incorporation and maintenance of the ICT processes; establishes operational policies and procedures for ICT functions; and implements and coordinates business continuity management, among other duties, since 1999. Before that, Risbrooke worked with the National Information Systems Centre in the Central Statistical Office in the T&T Ministry of Education. He held such positions such as a systems analyst, a programmer and a systems programmer where he conducted training in application software and data communication networks, developed and maintained application software technology and managed memory, user profile and system recovery procedures for several computer systems. Risbrooke earned a master’s of business administration at the Edinburgh Business School at the Heriot-Watt University, and he holds a bachelor’s degree in computer science and management from the University of the West Indies, St. Augustine, Trinidad. Over the course of his extended career, he was awarded a Certified Business Continuity Professional certificate (CBCP) from the Disaster Recover International-Institute for Continuity Management, and he earned certification as a Microsoft Certified Professional. As a CBCP, he demonstrated skills and knowledge in the business continuity/disaster recovery industry. Among his many accomplishments, Risbrooke established and coordinated video conferencing solutions for virtual meetings between Trinidad and Tobago; he developed and coordinated application software training programs for many government agencies; and established Rhand Credit Union Internet cafes in Arima, Port of Spain and Tobago. He has presented on information technologies and the virus experience in the government service, as a speaker throughout his career.